In Northwest France, one hour from Nantes, there's a history-oriented theme park that puts on the most amazing and original shows you can imagine. Le Puy du Fou (pronounced "pwee-du-FOO") has been voted the best theme park in the world several times (prestigious Thea Awards, given in the USA), plus it attracts more than 2.3 million visitors per year and has top ratings on TripAdvisor. So why have you never heard of it? There are no rides at Puy du Fou. Instead, the park features villages and shows from various periods of French history: there are multiple main shows that take place between the 3rd and 20th centuries, including several new shows that have won international recognition. Each show lasts between 17-40 minutes and is performed up to 7 times per day to thousands of spectators. The park is situated on 140 acres of carefully tended gardens with over 15 miles of pathways leading to the various auditoriums and outdoor amphitheaters. All of the profits made are re-invested into new productions, projects, and features for the park. Le Puy du Fou was created in the late 70s by Philippe de Villiers, an entrepreneur and politician who saw the ruins of the area's chateau and imagined the potential for an amazing night play with the ruins as a backdrop. His night play, la Cinéscenie, is a key attraction today. 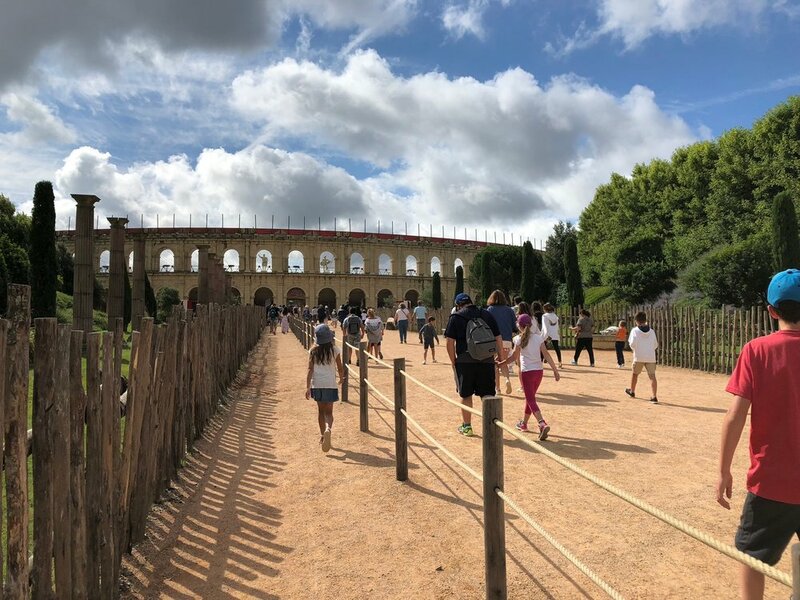 With record numbers of visitors to the park and play each year, today's profits are also invested in an acting and production school for children and adults, most of whom go on to technical and artistic careers at Puy du Fou. The park's profits are also used to train and tend more than 200 horses, 500 birds, and a wide variety of endangered or aging animals such as Poitou donkeys, most of whom have unforgettable roles in the productions. Third, the shows are in French. 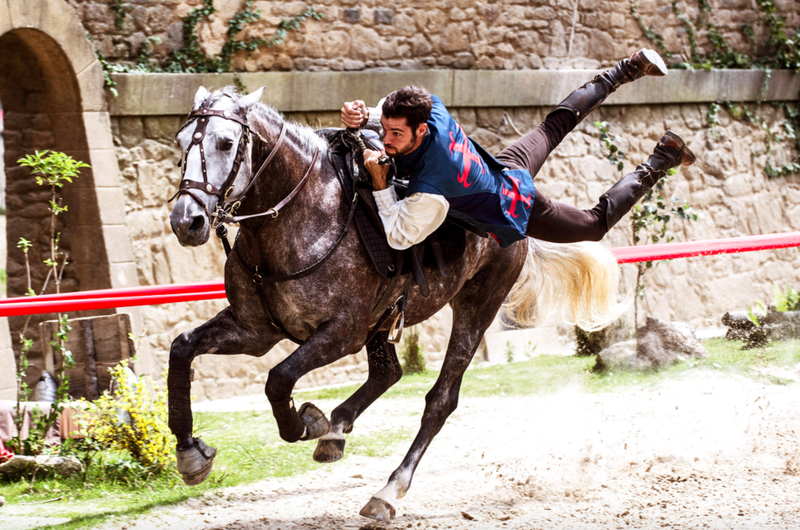 Therefore the majority of visitors to Puy du Fou are French, and while a growing number of Europeans flock to the park, few Americans are aware of it so far. However, the free Puy du Fou app provides simultaneous translation into most major languages including English, so there are no true language barriers that can't be easily overcome here. Nonetheless, with the talented actors, cutting edge sound systems, and original music scores by Hollywood greats like Nick Glennie-Smith and Nathan Stornetta, there's really not a strong need for translation to enjoy the shows. My English-speaking husband chose to watch all of the shows with no translation, and he enjoyed his experiences immensely. Puy du Fou park is open from April through November, with special Christmas performances in December. It really won't stay unknown in America for long as the annual visitor rate is growing exponentially and the experience continues to be unparalleled elsewhere. If you could watch a story from a period of history from Roman times to the Turn of the 20th Century, which period would most interest you?